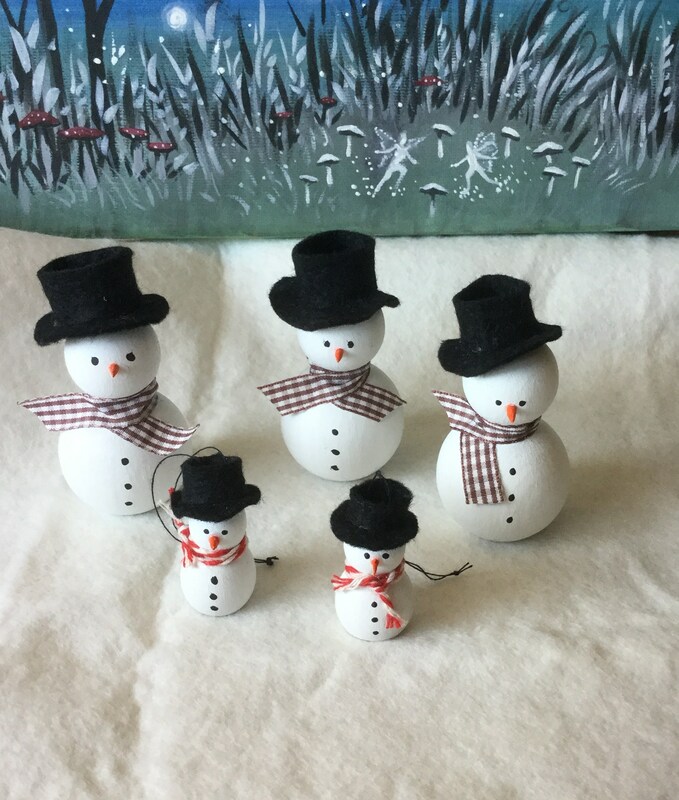 Home / STORE / Snowmen / Jolly Snowman. 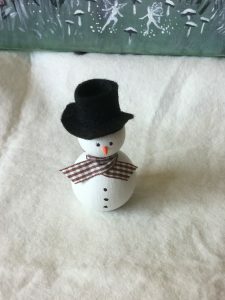 This Jolly round snowman is made of wood, painted white with 3 black Cole effect buttons. He is wearing a colourful scarf and a black felt hat. His eyes are painted with a black Cole effect and he has a tiny carrot nose. 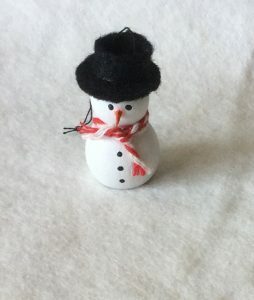 His little brother hangs from the Christmas tree on a fine black thread and is our ‘Jolly Christmas Tree Snowman’.